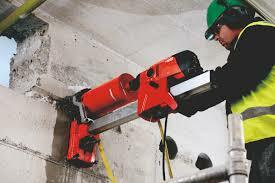 Modern Tools for Concrete Remediation. The cutting, drilling, grinding and jackhammering of concrete is hard, dirty and unhealthy work. But does it have to be? Can we increase health and safety and increase productivity? Please join us for two presentations and live demonstrations on the latest in tools and equipment. Afterwards please stick around for networking drinks and canapes with your industry peers and the speakers.